Atanu Sen has taken over as the Managing Director & Chief Executive Officer of the largest private sector life insurer of the country, SBI Life Insurance. Mr. Sen succeeds Mr. M.N. Rao, who retired on 31st August, 2012. Atanu started his career with SBI in 1977 as a probationary officer. 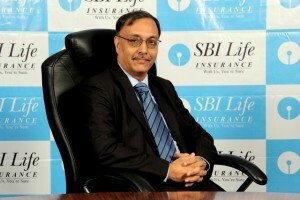 During the 35 years of his career in SBI Life, he has held various key positions. His previous assignment was as Deputy Managing Director and Chief Credit and Risk Officer of State Bank of India. SBI Life Insurance is a joint venture life insurance company between State Bank of India (SBI), the largest state-owned banking and financial services company in India, and BNP Paribas Assurance. SBI owns 74% of the stake in the joint venture and the remaining 26% is owned by BNP Paribas Assurance. As per the latest IRDA report, June 2012, SBI Life ranks 1st amongst private life insurance companies, in terms of new business premium collection for the fiscal year 2012-13.